Keyed by young enthusiasts, the typewriter makes a minor comeback. 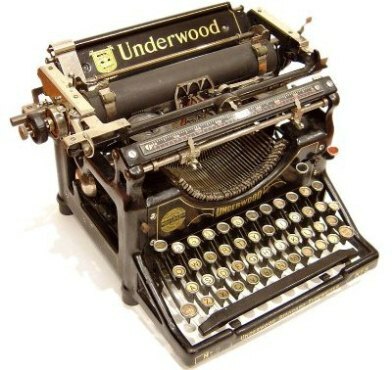 An Underwood No. 5. 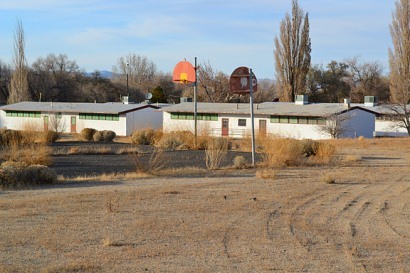 Photo courtesy of Richard Polt. Today business at Cambridge Typewriter is strong. The shop — whose walls are lined with dozens of framed typewriter advertisements from the 1920s, ’30s and ’40s — is filled with hundreds of typewriters, many brought in by customers for maintenance and repair. “I’m repairing about seven hundred machines a year,” offers Furrier, and “sales [of used machines] go up a little more every year.” And in between repair jobs he finds time to update his blog, Life in a Typewriter Shop, in which he shares stories about the people and “beautiful machines” that come through his door. Meanwhile, at Mesa Typewriter Exchange — which has been on the same street in Mesa since Wahl’s grandfather started the business in the late 1940s — the story is much the same. The showroom floor is cluttered with old manual machines, which coexist alongside once-ubiquitous IBM electrics. In keeping with the days-gone-by aura, there isn’t a word processor or modern office product in sight. For his part, Wahl doesn’t even own a cell phone (much less a smartphone), describing himself as a “die-hard holdout,” a trait he shares with Furrier. The business attracts a steady stream of patrons, in part because there are relatively few people who still repair typewriters, a state of affairs that inspired a new documentary titled The Typewriter (in the 21st Century). Asked how many repair shops remain in the United States, Wahl doesn’t even venture a guess, though he notes that “there are more places fixing typewriters than an Internet search might imply,” alluding to the fact that not every repair shop maintains a Web presence. Like Furrier, Wahl does a lot of work for customers who buy old manual typewriters on eBay or Craigslist, or at yard sales or flea markets, and then bring them in to have them reconditioned. “There is not a lot that can go wrong with a manual typewriter,” reminds Wahl, noting that common problems include a carriage that is sluggish or sticking keys — and that a typical repair costs $65-$150. But Wahl also does his share of repairs on electric machines, which tend to get out of alignment and need regular maintenance. “People would be surprised at the number of businesses that still keep an IBM Selectric II or a Wheelwriter around,” he says, the former a user-friendly model made between 1961 and the early 1980s that was the most popular typewriter for many years. “Companies that once had forty or fifty machines now keep a few around for odds and ends,” he continues, noting that he just recently fixed five typewriters for Honeywell, and always has an IBM Selectric II ready to sell (cost: $195-250). People might be even more surprised that typewriters are still commonly utilized by the likes of police departments and government agencies. “The Los Angeles County Sheriff’s Department still uses typewriters, because they have forms that they have to fill out in triplicate and typewriters are the easiest way to do it,” says Gary Nicholson, co-producer of The Typewriter (in the 21st Century). And the New York City Police Department spends hundreds of thousands of dollars a year buying new machines and maintaining old ones. Predictably, the greatest obstacle to repairing typewriters is finding parts. “I can still order parts for some of the later IBM’s,” says Wahl, but mostly he cannibalizes the hundreds of old machines he keeps around for precisely that reason. Furrier also has a “graveyard” of a few hundred that he strips for parts, which allows him to “repair ninety-nine percent of everything that comes in,” he says. Repairs aside, what keeps the business interesting for Wahl in particular are the “almost anti-culture” pre-teens, teens and college students who are, he says, “fascinated” by manual typewriters. They refer to themselves as typospherians — a term of endearment that describes those who use, collect and frequently obsess over typewriters. They consider themselves members of the typosphere, a global community of typewriter geeks who have been known to hold informal get-togethers referred to as type-ins, and also commonly engage in typecasting, which involves generating typewritten messages and posting them online, reflecting their sense of ease with both old and new technology. Matt Cidoni, a teenaged typospherian from New Jersey who operates the blog Adventures in Typewriterdom, actually signs his typecasts with messages like: “Sent from my Royal Quiet-Deluxe” or “Sent from my 1962 Olympia SG-1,” a nod to the “Sent from my iPhone [or iPad]” email signature. But privacy is another important factor. “Everything you do online is being recorded and analyzed by somebody,” reminds Polt, while typewritten communications are private, unless you choose to make them public. But arguably the most powerful selling point is that a typewriter is only good for one thing — typing. Polt, a professor at Xavier University, says he provides feedback on student papers via typewritten comments. “I write a number in the margin of the paper that is keyed to a number on the typewritten sheet. It makes the task a little more fun for me. And there are no distractions when you are on a typewriter. You pretty much have to write,” he says. “A lot of people have the mindset that a typewriter is a typewriter is a typewriter and that they are all the same. 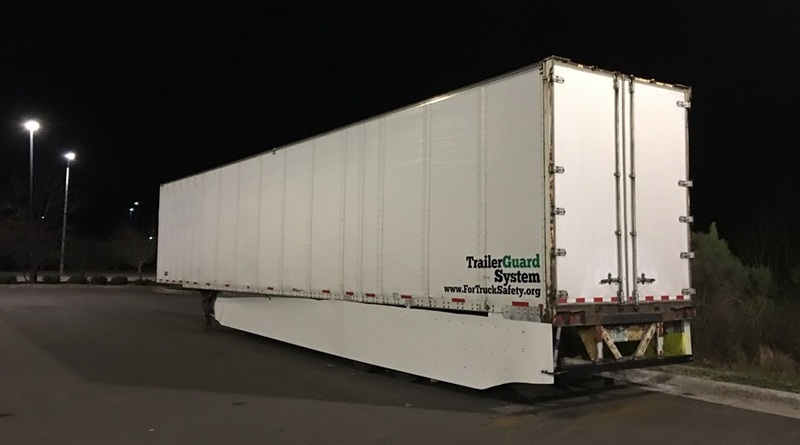 But they vary a lot,” emphasizes Wahl, noting that a lot of people buy online without coming into the shop and trying out different models to try to discern which might best address their needs. “A lot of people will go on eBay and pick something up, but in the long run that often ends up costing them more,” concurs Furrier, who has a few pointers for assessing the condition of a prospective purchase. “Make sure you can roll in a piece of paper. In some old machines the feed roll has flattened out and in some cases you can’t replace it. Make sure every key works and that the carriage goes back and forth. If you can do all that you’ve got a decent machine and no matter what else is wrong you can probably get it fixed,” he says. To be sure, there are plenty of pre-owned models to choose from. In Wahl’s shop, prices range from $95-$500, depending on the look of the machine, style, condition and print quality. He offers a surprisingly extensive array of antiques, “most of which I paid ten bucks for, because people know I’m here and don’t want to go through the trouble of selling their old machine,” he says. But don’t expect to find any new typewriters for sale at either Mesa Typewriter Exchange or Cambridge Typewriter. Wahl hasn’t stocked new machines in four years because almost all of his requests are for used machines. “Smith Corona was the last brand I was selling new, and they have stopped production,” he says. For his part, Furrier hasn’t sold new typewriters in fifteen years. “No one is making new manual typewriters like what the kids are looking for, but there are a few companies that still manufacture electronic typewriters,” he says, referring to Brother and Nakajima, to name two. The comeback of the manual typewriter begs two questions. Will this be a lasting trend? And how long will there be repairmen capable of keeping the machines in working order? In regards to the latter, Wahl says he hasn’t had someone working alongside him since 1992 and that there’s no apprentice in sight, despite the fact that a few young people have approached him about learning how to do repairs. (There aren’t enough hours in the day for him to teach, do repairs and operate the business, he says.) Furrier doesn’t have an apprentice either, though he says he is “really thinking hard” about setting aside time to teach a typewriter repair class. Others aren’t so sure, though. “Typewriters do seem to be in the zeitgeist right now,” offers Polt, but he says he has noticed a backlash against typing in public because it has gotten trendy among hipsters. “Part of the hipster stereotype is that they have a typewriter. So I’m a bit concerned that this will just be a fad,” he concludes. Meanwhile, the asking price for collectible typewriters like the Hansen Writing Ball continues to rise, with one recently offered on eBay — minimum bid $106,000. “It’s a Danish typewriter that was the first to be successfully mass produced,” advises Polt — the typewriter equivalent of the Honus Wagner baseball card. “They have sold for as much as a hundred-thousand dollars,” he continues, before noting that the Writing Ball is the inspiration for the name of his blog. 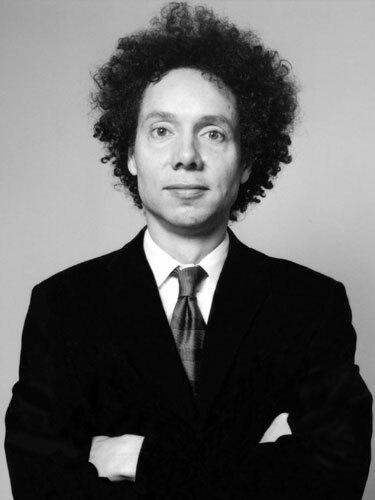 Malcolm Gladwell: The Tipping Point—The Failure Interview.